Shakespeare was, to the unsuspecting or unknowing mind, the common-theme that united the BBC Symphony’s engaging concert on Friday night at the Barbican. 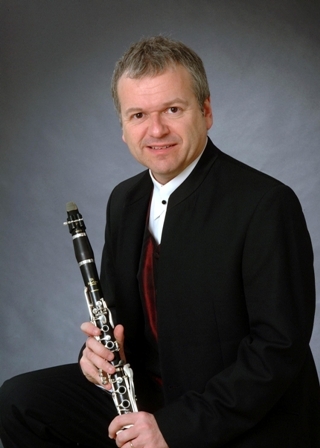 In an interesting piece of programming, Brett Dean’s clarinet concerto Ariel’s Music was paired with a selection of music from Sibelius’ Prelude and Suites Op. 109 based on The Tempest (the latter being accompanied by a semi-staged performance of excerpts from the play). The apparent thread that united these works was something of a red herring though; Dean’s accomplished work actually takes as its inspiration the death in 1988 of a young American girl, named Ariel, from AIDS (the work also responds to events surrounding her death, such as the subsequent campaign undertaken by her mother to raise awareness of the disease). Despite this divergence of source, however, the pairing worked well. Apart from the unsettling episodes and violent eruptions that belong to each score, a more submerged parallel can also be drawn. Sibelius’ pieceis, in important ways, somewhat without idiom. Or, it might be more accurate to say, it moves between idioms whilst never quite settling on one (I explore this in relation to the Dean later). The occasionally remarkable music is at various points impressionistic, expressionistic, programmatic, abstract, incidental, full-bodied, dance-like, medieval folk-like and so on. In generic terms also, the piece can be said to be contrastive. The excerpts chosen for this performance move between fully-independent mini-movements that propel the narrative forward, extremely short moments of musical illustration, and transitional passages that move between each of these poles. Some sense of Shakespeare's linear narrative, which is absent from the ordering of the two Suites, was restored in this unusual music theatre (I mean this in a new sense) hybrid, and the actors and musicians surprisingly managed to convey through these unusual means a clear and compelling sense of the play's poetics. Featuring some strong performances in the acting roles (especially Richard Goulding as Prospero and a beguiling Benedict Hopper as Ariel and Caliban), and playing that was at times powerful, at times deeply expressive (for example in the wistful Berceuse that follows the famous storm Prelude), this 70 minute long performance impressed on every level. Experiments like this rarely come off, and the conceit of this being a rehearsal of The Tempest (conveyed by 'Rehearsal' signs placed on stage) did not promise much. Happily, however, I found myself consistently engaged, surprised, and moved by performers and conductor alike (John Storgårds), the latter of whom was commanding and controlled throughout. Dean’s music, his Ariel’s Music being no exception, takes a similarly non-dogmatic approach to style as the Sibelius. He explores various tropes in modern music without worrying to their music-political value. Primary amongst these tropes, it can fairly be said, is the use of electronics, the (re) incorporation of programmatic sourcing, the liberal openness to new ways of scoring, the expanded atonal palette that does not reject episodes or moments of consonance, and the renewed sense of the importance of classical techniques of motivic and thematic development. His music sits somewhere in the middle ground of the contemporary field in terms of what is usually understood as innovative, but he has great skill as a composer and his compositions are amongst others that play an important, centrifugal role in today’s aesthetics. Michael Collins was the soloist in Dean’s Ariel, and he handled the score’s quite brief but artistically substantial weight with great aplomb. He played in the opening passages with a real roundness and beauty of tone that was yet tentative, and shy. Whilst the interesting string textures of the opening didn’t quite come off in this performance (they were too diffuse, too lacking in collective purpose), the soloist and the orchestra nevertheless combined well in the subsequent music. Though this is never quite a baroque style concerto with genuine interplay of ensemble and individual, the (intentionally) failed dialogue between the two that is explored by Dean instils into the work an interesting tension. The performance of the second movement, somewhat rondo-like in nature with a conclusion that movingly recollects and develops the dirge close of the first, conveyed a great sense of ensemble precision, and of collective purpose. The loud and violent strains of this angry music were communicated with skill (the soloist’s glissandi and sfzorzandi were particularly impressive), and with insight. The difficult but well-handled transition into the final dirge, and the dirge itself, typified the sort of grace and control the performers had with this music. Though the spirit of the performance of the first movement felt at times perfunctory, elsewhere in the Dean, and especially in Sibelius’ interesting additions to Shakespeare’s Tempest, the performers connected well with the aesthetics of each work.